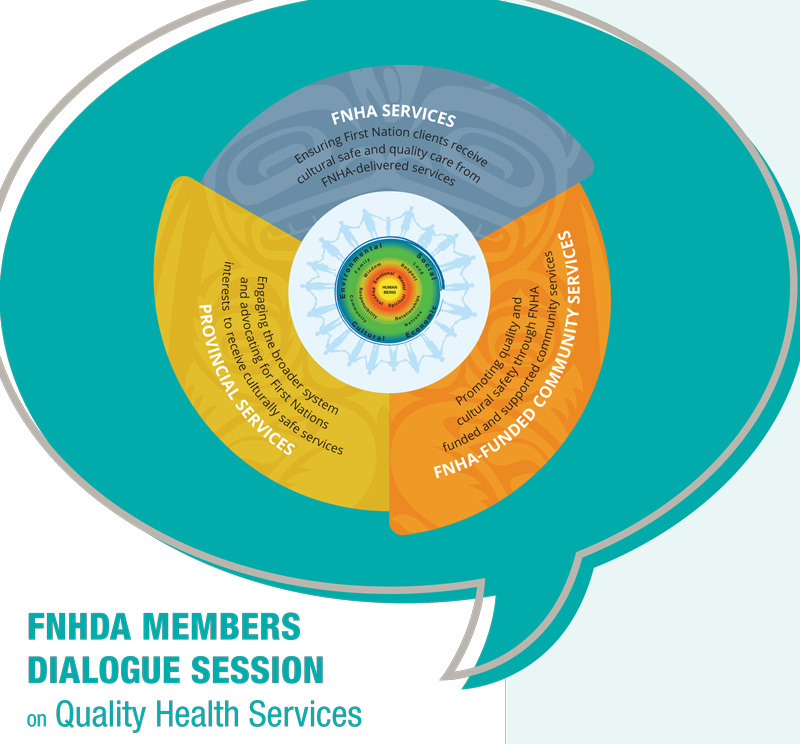 The FNHA and FNHDA would like to invite all members of the Association to participate in a Members Dialogue Session on Quality Health Services. The purpose of this dialogue is to establish an awareness of the FNHA Quality Agenda and to gain important feedback from Health Directors regarding priorities and actions that can advance the implementation of a BC First Nations Quality Agenda. Witness opening remarks from FNHDA Elder Advisor Virginia Peters, who will share about how quality, is something that was and is at the heart of First Nations cultural teachings, practices and communities and how these teachings can be applied to today’s Quality Agenda. Join FNHDA President Kim Brooks and FNHA CEO Joe Gallagher to hear about the efforts that have taken place to date and the important work and collaboration that lies ahead. Also hear an exciting talk from Dr. Evan Adams, Chief Medical Officer for the FNHA, about our shared vision for culturally safe and quality care for BC First Nations! Participants will have an opportunity to engage in a ‘World Cafe’ dialogue to help shape and inform this approach as well as prepare for the larger Quality Forum. Delegates are FNHDA members in good standing as of December 1. Delegates are responsible for booking their own hotel and travel arrangements.